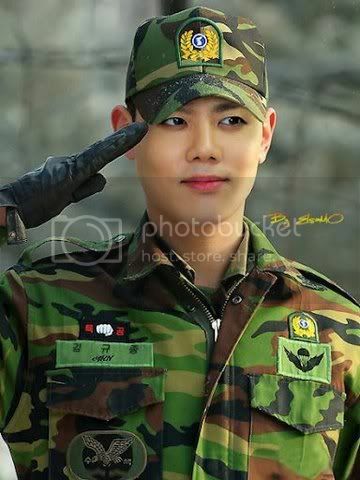 Wuri SS501 sweet center, Kyu Jong is in the army now.....we won't be seeing much of him till two years from now. 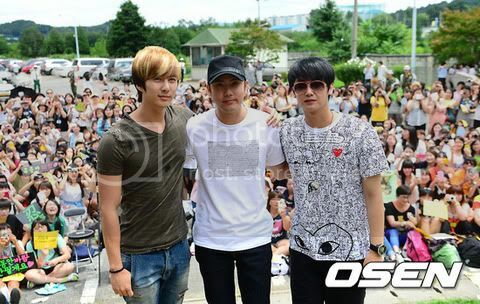 Really really sad, will be missing him every time I see the other SS501 members. 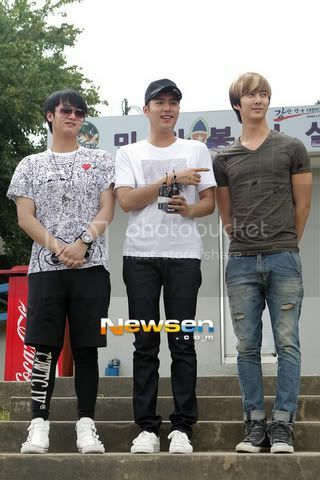 From the pictures, Hyung Joon...is really hanging on to Kyu......Baby's got his arm around Kyu most of the time. 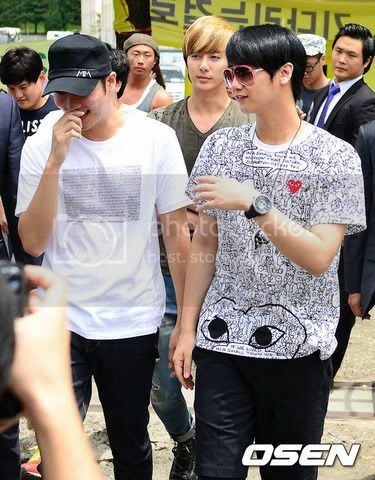 While Young Saeng and Hyung Joon is smiling when they sent him off, I'm sure they will be missing him big time also, specially Young Saeng, Kyu's label-mate ...as they usually have joint events and such. Even though Kim Hyun Joong and Park Jung Min were not there to send Kyu Jong off, I'm sure their thoughts were with Kyu....Leader must have been busy drama shooting in Japan and Mal must have been busy with Romeo promotions. 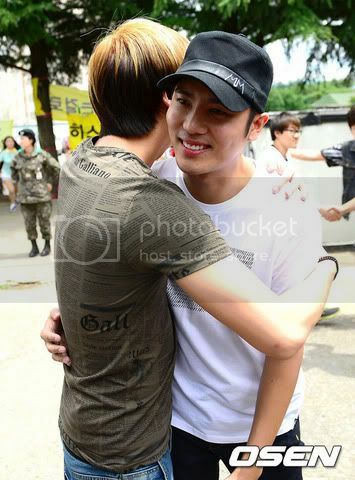 Dearest Kyu Jong, be well, be healthy, be safe,....and be happy !! God Bless you and we'll be waiting for you to come back ! 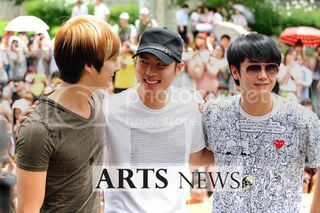 I'm sure you will be doing your best in your military duty.........SS501 fightiiing !! Photo credits : As Labeled from various sources and media outlets. I believe he'll be an amazing soldier.He already looks really fresh saluting in his uniform! he's such a great guy !! I agree...I'm sure he'll be doing his best. Yup ! army uniform makes him look very good.